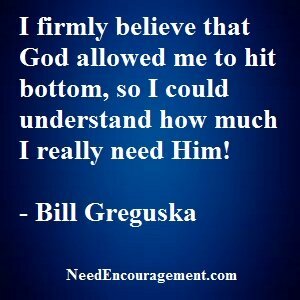 God Rescued Me, (Bill Greguska)! And God Can Do The Same For You! My name is Bill Greguska, and my life started off so-called normal, but when I added drugs and alcohol in high school, my life crashed and burned. It took a lot for me to land back on my feet. After God caught me and cleaned me in 1986. Here are some encouraging scriptures that were an encouragement to me. It Is How We Deal With Bad Days That Counts! In My Life, The Old Is Gone, The New Is Here! Until I Gave Up My Old Life, I Once Had! Learn How To Lead Others To Jesus Once You Are Saved! My Life Took A Few Wrong Turns, But God Is Good! No matter what has happened in your life, God still is in control and loves you and has a plan for your life. In 2005 I experienced some marriage problems that lead to a painful divorce. I got an extreme amount of help from Pastor Ron and Sue Sauer and also Pastor Mark Malliwitz. I was wise enough to reach out for help, and a couple of other people gave me a lot of support such as my mom, Pastor Dave Briscoe. I also listen to Christian music and Christian talk shows on the radio. My Wednesday night Bible study at Mark Mallwitz house were all a big help too which gave me direction and spiritual support. 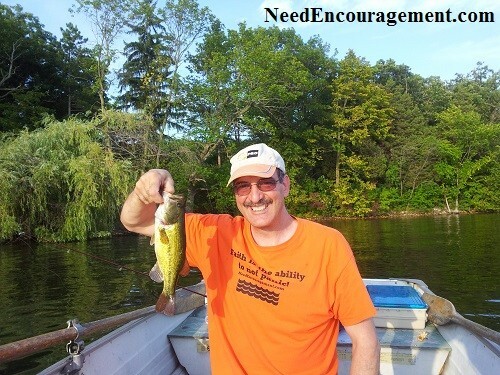 The events in my life led me to want to be an encourager and a fisher of men, to point people to Jesus Christ. The scripture Sue Sauer pointed out to me was (2 Corinthians 1:3-4), so in 2007 I started this website to encourage others like I was inspired! My mom and dad stuck by me through thick and thin! They were married over 50 years, not like couples today to opt out on getting divorced when things get complicated. I wish I would have listened to them better. But I was a good son my mom always told me. My faith in God started very well; I’d have to say. Remembering back to when I was about six, my parents took me to church every Sunday. They enrolled me in private schools — St. Gregory the Great Grade School and Pius High School. God and my parents met my needs. I was very fortunate to be blessed in many ways. Can you relate to m life at all? It was when my dad gave me a penny to put in the basket at church. I thought it was so special to give money to God that I had a unique way to do it: I put the penny in my left hand and closed my fingers on it. Then I made a sign of the cross with my right hand over my left hand. To me, it was both meaningful and significant. I liked the feeling of holiness in church, yet it was often hard to sit through the service because sometimes it got boring. I became an altar boy and even got a religious award in Cub Scouts. To me, that was a sign that at a young age I had a deep love for the Lord. Have you decided to follow Jesus Christ in your life? Do not ever give up your child like faith because it is so important. Matthew 18:3 And he said: “Truly I tell you, unless you change and become like little children, you will never enter the kingdom of heaven. Basketball, My Dream, It Was The Center Of My Life! 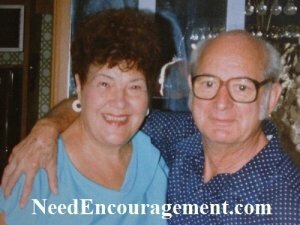 Basketball, drugs, alcohol, recovery, building wheelchair ramps, caregiver for my mom, recovering from a divorce, caregiver for Ben Hersh, starting upneedencouragement.com, and living my Christian faith have been some of the highlights of my life in that chronological order. 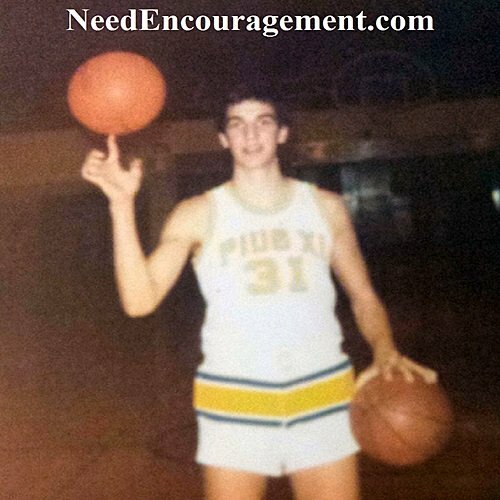 From the time I was about nine years old, all the way through high school, basketball became very important to me. All I did was play basketball and think basketball, and I got pretty good at it. Even so, I traded this love for basketball for the love of alcohol and drugs. It devastated me when God allowed the door to be closed on basketball. You, too, I am sure, have had the door to certain parts of your life closed. Sometimes this is just a part of life. We live and learn. Because of my faith in God, even though it hurt, I knew that God still had a plan for my life. Has anyone of you had your dreams shattered too? High School Became A Big Problem! Fast-forward to high school. My faith in God took a beating. First, it was because I was so involved in basketball; later I got heavily involved into partying, which abruptly ended my basketball career. It was tough to juggle my partying and wild lifestyle with the responsibilities and life of the church and worship God. Something had to go; this was the beginning of many years of regret. I had been taught godly principles to live by, yet Satan, my flesh, and this world got the better of me. I did not have the “ears to hear” that scripture mentions but just lived on reactions and impulses that caught up to me and turned my life upside down for almost ten years. Alcohol and drugs tempted me, and I fell hard on my face! Is there something particular that has seduced you to get off the right path in your life? My daughter has been a blessing to me! I have seen her grow in her faith and maturity right before my eyes! I drifted away for a few years; when I was about 20 years old, I got in trouble with the law. Then I lived at the Rescue Mission for a while because my mom kicked me out of the house. Shortly after that, my girlfriend got pregnant. In December of 1983, we had a beautiful baby (Gerber baby I called her) named Sherry. Then my girlfriend broke up with me — another devastation — and I did not see my daughter again until she was in eighth grade. Though I seemed to be running after something, I did not know it was Jesus Christ until about three years later. Are you or someone you know living in a rebellious lifestyle? While I still had faith in God through all of this, my faith did not seem to make much of a difference in my life. I think that because I was still living a rebellious, sinful lifestyle, God was not answering my prayers the way I hoped He would. I was living my will for my life, instead of living God’s will for my life. It says in Jeremiah 29:11, “‘For I know the plans I have for you,’ declares the Lord, ‘plans to prosper you and not to harm you, plans to give you a hope and a future. '” Do you realize that? Things were pretty bad in my life. I felt that on the one hand, God was watching over me, but he seemed to be holding out on me at the same time. He was providing me with food, shelter, and people who seemed to care about me — it was me that was making my own life difficult. Times were very hard, but looking back I see the hand of God, and the many ways He showed his faithfulness to me. I always loved God, but I wasn’t near to Him because of the life I was living. I had thoughts of suicide that entered my head when I was 16 and again when I was 43. Satan was doing everything he could to steal, kill, and destroy me, but I kept trying to cling to God; I believe that He is my life preserver. Do you need a life preserver in your life too? Reaching Out To Help Others Helped Myself Too! When I got involved in AA and NA by going to meetings and talking with others, my faith started to grow, taking small steps. NA gave me the support and fellowship I needed to get off alcohol and drugs. The last time I used any drugs or alcohol was on June 25, 1986, when I was in long-term drug and alcohol treatment, and I became born again. It was when I realized I could not help myself, but needed God’s help. I got very serious about my faith in God, and with the support, I was getting I grew by leaps and bounds. Did you know that you can get help by praying and asking God to put the right people in your life? My faith continued to grow after I got out of long-term drug and alcohol treatment. The Lord opened a door for me to get involved at Elmbrook Church, where I worshiped for a total of 23 years. I was blessed to get involved in a wonderful Bible study at Mark Mallwitz’s house since about 1991, and have been participating in it ever since. This and the fellowship of other believers has been a source of encouragement for me. I experienced much growth, which I am very thankful for. If you are not attending a church or Bible study, why not give it a try? In 1997 I took the step of getting married. It was a great challenge I was not prepared for, and my wife chose not to continue. 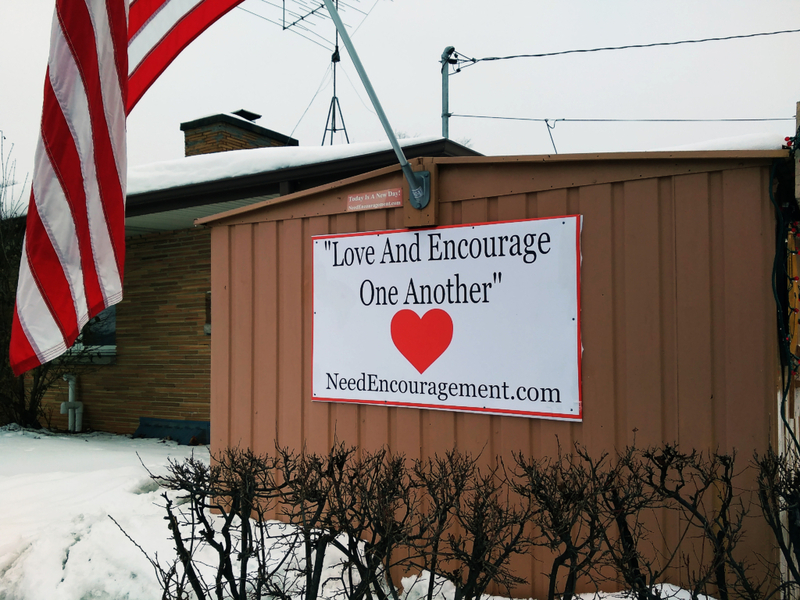 We received counseling from Pastor Ron Sauer and his wife, Sue Sauer. They spent many months trying to help us piece things together in our marriage, yet my wife gave up hope. That was devastating to me since I had had the lion’s share of raising her son Chris from the time he was four until he was fourteen. It took quite a while to get over that. I had a nervous breakdown and felt like giving up. During that time, my mom was having problems with her health and my stepdad Charley died, so I took care of my mom from 2006 until she passed away in December 2014. 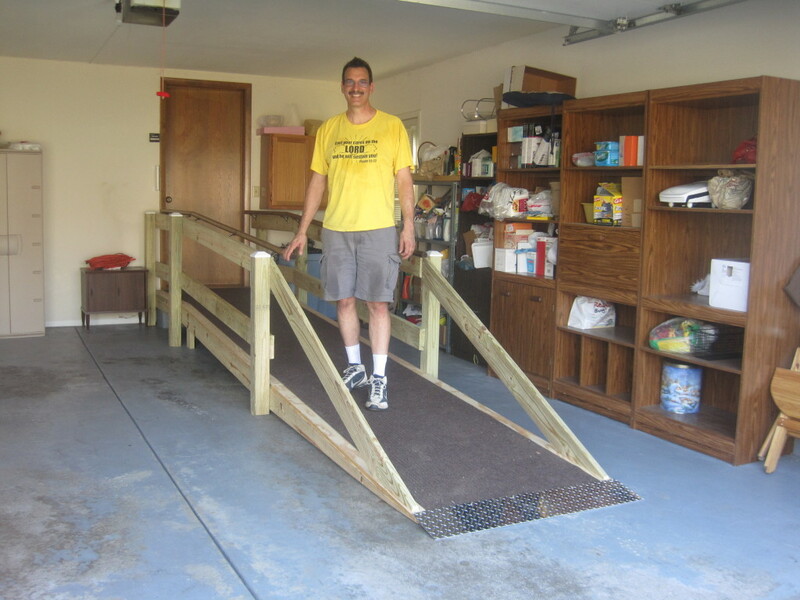 I lost my job building wheelchair ramps, and it seemed like my whole world fell apart like a house of cards. Can you relate to some of the storms I experienced? I have to admit that these setbacks did discourage me to a point, but I still had faith that God would continue to watch over my life as he has since I was born. My life reminds me of what it says in 1 Peter 5:7: “Cast all your anxiety on him because he cares for you.” My life experience has been like a roller coaster in some ways, yet I always seemed to stay on track somehow. I give God credit! Who are your eyes focused on? I Took Good Care of My Mom! I was a blessing to be able to take care of my mom for the last eight years of her life until she died at age 93. She was tremendous support while I was growing up, even during my problems with drugs and alcohol. Taking care of her was an honor and seemed the right thing to do. Mom had told me for years that she did not want to go to a nursing home, so I did all I could to keep her at home. She lived a good life. 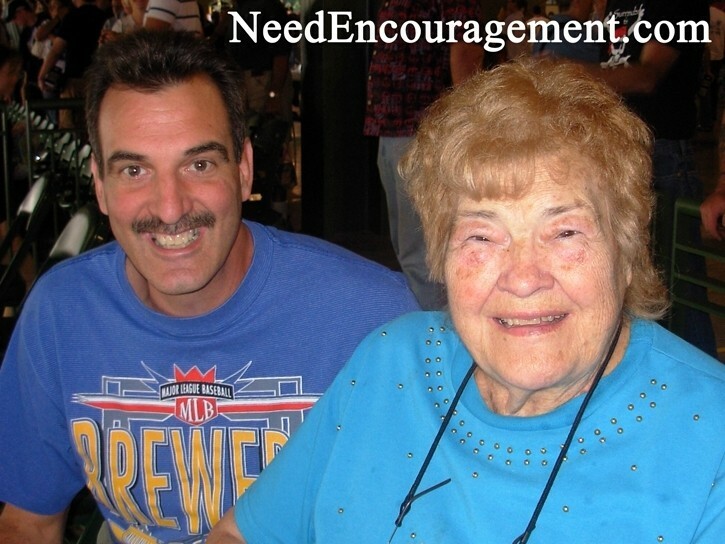 She loved watching “her” Brewers, going to church with me, going out to eat, playing cards, going to movies, etc. I couldn’t imagine her going to a nursing home after all she did to keep me together when my life was in shambles. Do you understand that when you help someone it is like putting perfume on them–you can’t help but get some on yourself? Give it a try. What is the Next Chapter in My Life? In Yours? I have put on some miles in my life and learned some hard lessons. I have also experienced God in a meaningful way. Lord willing, I will continue to walk close to Him. 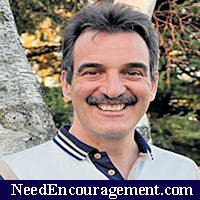 Now I hope to encourage people through my website,needencouragement.com, so they can learn from the things I did wrong. I strive to keep healthy and spiritually fit and to have fellowship both with my friends who love the Lord and with those I call “pre-Christians”–those who don’t know the Lord yet. Since I have accepted Jesus Christ as my Lord and Savior, I know my final resting place will be in heaven. It can be your last resting place, too, if you accept Jesus into your life as your Lord and Savior. Have you thought about how you plan to live the rest of your life? Who are you going to live it for? My Life Hit Bottom, But God Did A Miracle! After I got out of treatment two years later, I got involved with NA and AA for a little while longer until I got involved in Elmbrook Church. I got out of long-term treatment in 1989. Shortly after that, I started attending Elmbrook Church in Brookfield, WI regularly. Elmbrook church had an open basketball program which caught my eye. Basketball was the “carrot” that got me back in church again! Looking back I am so thankful that God put Elmbrook church in my path to help me to grow as a Christian under the teaching of Pastor Stuart Briscoe and the rest of the staff. I was very grateful for all the church and people did to help me. This was back in 1989 shortly after I got out of long-term treatment. While Growing Up, I Played Basketball All Year Round! Year after year, month after month, and day after day, and it kept me busy on my teams during the school year. I tried out for varsity my sophomore year at Pius XI, yet coach Joe Bunneta wanted me to play JV to get a lot of playing time which I did. 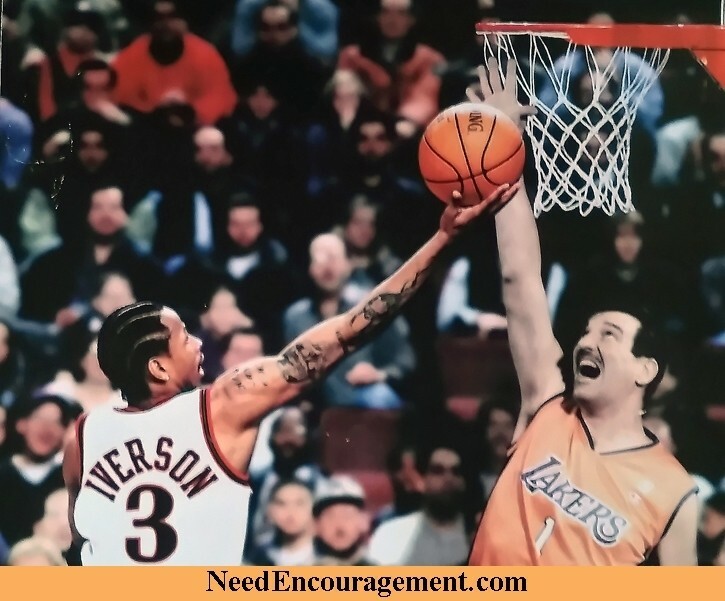 A considerably massive part of my life became basketball which I got pretty good at, although without a doubt alcohol and drugs got the best of me, it ripped my life apart which took many years of recovery to put the pieces back together with God’s help. I need to say that school was very challenging for me to try to sit quietly in class and pay attention. I was not dumb at all, but I did struggle with reading until I was almost in high school. My silliness and hyperactivity made school something I did not enjoy, and I found myself easily distracted, even though I got B’s and C’s although school was confusing and did not come naturally to me. I was very popular due to the fact I think because I was on the basketball team and I had a good sense of humor. I thank God for the sense of humor that he blessed me with. It is not surprising because I grew up as a guy with a fun sense of humor and a basketball player, which somehow worked for my benefit for the most. Pete Maravich’s story is inspirational to me! Click here to check out a little of my sense of humor. Lew Alcindor (Kareem Jabbar) Was My 1st BB Hero!